While Estonia is probably the LAST place you'd expect an international club queen to hail from, 25 year old Kerli has been paving the way for her fellow Estonians since 2008 when she released her debut single, "Walking On Air," followed by her debut album, Love Is Dead. Of course, until fairly recently, Americans have been a bit slow to catch on when it comes to hot dance club tunes from Europe so Kerli didn't really ARRIVE here on the club scene until 2010 when the insanely infectious dance smash "Army Of Love" hit #1 on the Billboard Dance Club chart. Nearly two years later, Kerli is ready to take back the crown, releasing a new dance-tinged futuristic club jam called "Zero Gravity," which is available to download now on iTunes (HERE). "Zero Gravity" offers fans a first glimpse of what's to come from her long awaited sophomore album, due out later this year on Island Records. While the song is certainly catchy, I'm a bit disappointed how dangerously David Guetta the production sounds. It's a bit cookie cutter if you ask me. What I liked about Kerli's earlier music is the trippy, almost otherworldly nature it has. This sounds a bit too generic for my liking, but perhaps it will grow on me. According to the PR, the timing of the single's release is perfect. "The release of “Zero Gravity” coincides with the 2012 Winter Music Conference in Miami Beach, March 16-25th, which is highlighted by the 27th annual IDMAs (International Dance Music Awards). Kerli will be on hand for a number of IDMA events and promotions, culminating with her red carpet appearance on the day of the awards – Thursday, March 22nd – where she is also expected to present an IDMA." While I've been hearing rumblings about an artist called "Birdy" for a while now, until yesterday I had NO idea who she was or even what sort of music she made. Perhaps I was subconsciously confusing her with Birdman, the Cash Money rapper? Whatever the reason, I'm highly embarrassed. I've seriously been missing out on an extraordinary talent. Thankfully and fortunately, Ellen DeGeneres featured the talented singer/songwriter on her daytime talk show yesterday, where she performed her debut single, a hauntingly beautiful cover of Bon Iver's "Skinny Love" (SEE BELOW). Since then, I've downloaded ALL of her singles and have been playing her non stop. 15 year old Birdy (AKA Jasmine van den Bogaerde) is a mega-talented folk/pop singer from Lympington, Hampshire in the UK who won the top prize at 2008's Open Mic UK, a live music competition held annually at the IndigO2 in London during Live Fest. The winner of the competition wins a lucrative recording contract and lots of exposure. 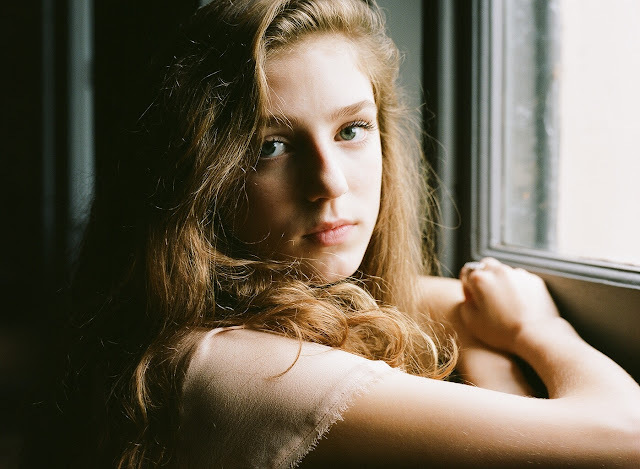 In addition to a lovely voice, Birdy is an accomplished pianist, learning to play the instrument at the age of 7, aided no doubt, by the fact that her mother is a trained concert pianist herself.